LOS ANGELES—Cementing his reputation as an auteurist designer of bleeding-edge video games, Metal Gear Solid creator Hideo Kojima took the stage at a press conference during the Electronic Entertainment Expo Tuesday to unveil Death Stranding, a new gaming opus consisting entirely of a two-hour pre-rendered cutscene. 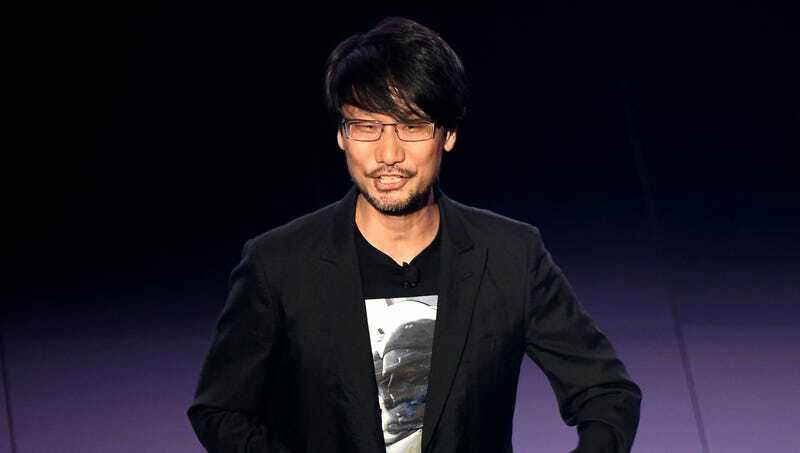 “Kojima Productions set out to rethink established boundaries of character and storytelling in games, because defining experiences shared with created characters by the concepts of ‘action’ or ‘role-playing’ or ‘controlling things at all’ seems limiting at this stage of narrative evolution,” said Kojima, adding that he anticipates a seismic shift in the industry as game developers rush to emulate his new approach. “Early-build players have found themselves inexorably drawn in as Death Stranding introduces the plot, establishes characters, reveals narrative tension, and resolves the story over the course of 120 minutes, and it’s only a matter of time before the greater public latches onto this sort of storytelling experience—one that’s bold enough to challenge convention by taking autonomy away from gamers.” Kojima concluded his appearance by announcing the release of a 30-minute demo of Death Stranding, the intense demand for which immediately crashed both Playstation Plus and Xbox Live services.